2. TASS: RBC: Health Ministry’s anti-smoking campaign proposal rejected by government. 4. Irrussianality: Paul Robinson, MY INNER POBEDONOSTSEV. 6. Eurasianet.org/The Russian Reader: Ivan Ovsyannikov: How Russia’s New Laws on Disrespecting the Authorities and Fake News Will Play Out. 7. Moscow Times: Ford Will Pay Out $200M to Laid-Off Russian Workers. 9. Moscow Times: Oleg Kashin, Abyzov Today, Medvedev Tomorrow? When they come for the Prime Minister, there will be no one left to speak for him. 11. Interfax: Moscow blames U.S., UK for growing military-political tensions in Arctic. 12. Reuters: Russia says it sent ‘specialists’ to Venezuela, rebuffs Trump. 14. Washington Post: Ryhor Astapenia, Will Russia try to occupy Belarus? Here are the 4 things you need to know about the two nations’ falling out. 16. TASS: Putin views Russia’s military base in Kyrgyzstan as stability factor for Central Asia. 17. New York Times: Max Fankel, The Real Trump-Russia Quid Pro Quo. The campaign and the Kremlin had an overarching deal: help beat Hillary Clinton for a new pro-Russian foreign policy. 18. Washington Post: David Ignatius, Moscow shouldn’t misjudge the Mueller moment. If Russia wants lasting improvement in its relations with the United States, it should stop its gloating about the special counsel’s report. 19. 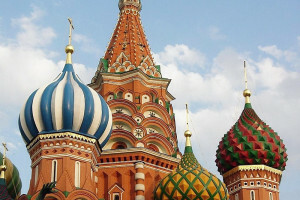 Washington Examiner: David Barsouk, Without Mueller report cloud, Trump should normalize relations with Russia. 20. AP: What’s at Stake in Ukraine’s Presidential Election. 21. The National Interest: Caroline Caywood, The Battle for Ukraine’s Presidency is Just Beginning. Allegations of vote buying, corruption, and Russian interference are clouding Ukraine’s elections. 22. Bear Market Brief Ukraine: Poroshenko is closing the gap. 23. Wall Street Journal: The Revolution That Wasn’t: Disillusioned Ukrainians Head to Polls. Frustrated with graft, their inability to join NATO and the EU and a conflict with Russia, voters make a politically inexperienced comedian their top candidate. 24. Intellinews.com: Ukraine’s leading presidential candidate Zelenskiy denies dependence on oligarch Kolomoisky.